HomeCatholicHow Do We Prepare for Lent? 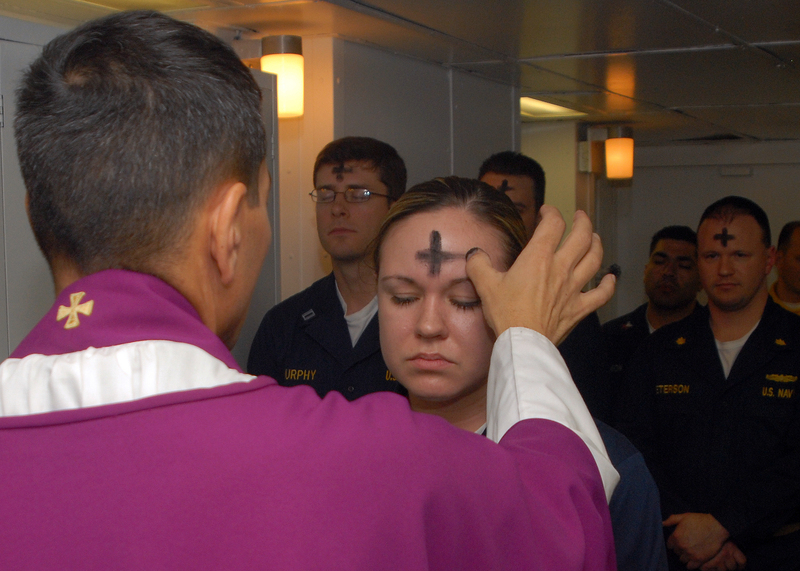 How Do We Prepare for Lent? With the beginning of the Lenten season upon us, it’s a good time to pause and ask ourselves how we plan on committing fully to our faith. 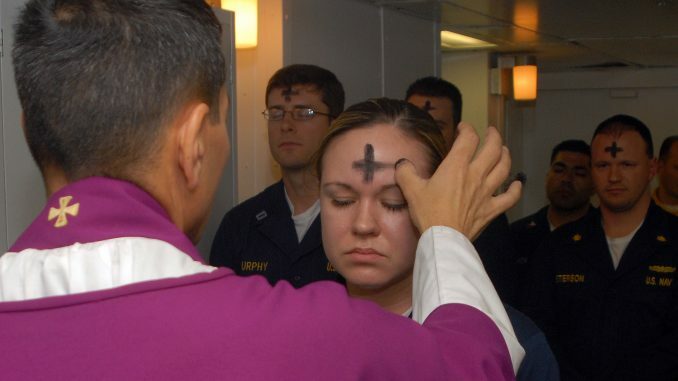 As Catholics, we typically think of lent as that time of year when we “give something up,” but there’s more to it than that. We’re also called upon to give ourselves more fully to prayer by reaffirming our baptismal commitments as well as giving both money and talents back to those in need. These acts together “remind us that faith finds expression in concrete everyday actions meant to help our neighbors in body and spirit.”1. From Adam and Eve’s sin of breaking God’s fast to Jesus’s reaffirmation of God during his time in the Garden of Gethsemane, fasting is hugely interconnected with what it means to be Catholic. “Adam believed and ate while Christ said, ‘Man does NOT live by bread alone.’ (Mt. 4:4; Lk. 4:4) This liberates us from total dependence on food, on matter, on the world”2.…and we often don’t consider how profound the act of fasting actually is. In addition to not eating meat on Holy Days and Fridays, the act of giving up little vices has become a standard Lenten tradition. Father James Martin, editor-at-large of America magazines suggests giving up a “spice, a foodstuff, and a candy” and make it more challenging by letting a friend decide which of each you’ll be giving up. Our friends over at Franciscan Media remind us to “make it count.” Don’t simply give up one vice to be replaced by another. Meditate on what Jesus went through in the Garden and then put some serious thought into making a real sacrifice in his name. In addition to fasting, we are called upon to commit ourselves more fully to prayer, meditation and contemplation. While prayer should already be a daily part of our lives, it is particularly important to reexamine the “how, what and why” of our prayer life during lent. In the spirit of the Exercises of Saint Ignatius of Loyola, consider doing an “An Ignatian Prayer Adventure“, setting aside time every day for prayers and exercises throughout the season. One of the oldest forms of Catholic contemplation is the Lectio Devina, a slow, contemplative reading and meditation on the scriptures. Try this with the daily mass readings or slowly work your way through any book of the bible with care and contemplation. The key here is giving your prayers a deeper consideration and ultimately finding a deeper connection with God. While much of Lent is about focusing inward, we are also called to extend ourselves outward by “donating money or goods to the poor and performing other acts of charity. As one of the three pillars of Lenten practice, almsgiving is ‘a witness to fraternal charity’ and ‘a work of justice pleasing to God.’ (Catechism of the Catholic Church, no. 2462).”3. There are any number of Catholic charities you can give to, but also consider giving your time and talents to your own Church or consider volunteering at a home shelter or kitchen. In the next few days before Lent, take some time to plan your Lenten season goals. How will you plan to walk with Jesus and understand what he endured during the Passion? In what ways will you follow in his footsteps by avoiding temptation, focusing on prayer and giving to others in order to ultimately move closer to God?